Hey, Hey, Hey! 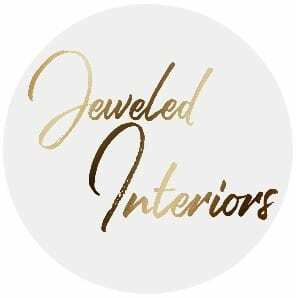 I’m Jewel and I’m glad you have stopped into Jeweled Interiors, a blog dedicated to the pursuit of chic decor with eclectic soul (and heavy doses of DIY tips, tricks, and inspo). We are a military family of six currently living in a 10 month rental (our 12th home 😬). 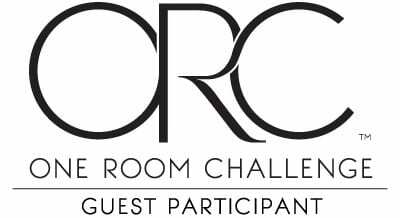 This is my second time experiencing the craziness of the One Room Challenge (a 6 week interior design blogging event hosted by Linda from Calling it Home). 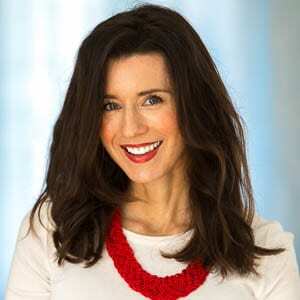 Don’t forget to check out the Challenge Participants and the other Guest Participants (like me!) for tons of great ideas. Need to get caught up on the progress of “The Bold and the Beautiful Entertaining Space” so far? No worries friend. I’ve gotcha covered. Note: Some of the products listed may be sponsored but the opinions are 100% my own. Who Hung a Wicked Awesome Chandelier? Ok you guys! 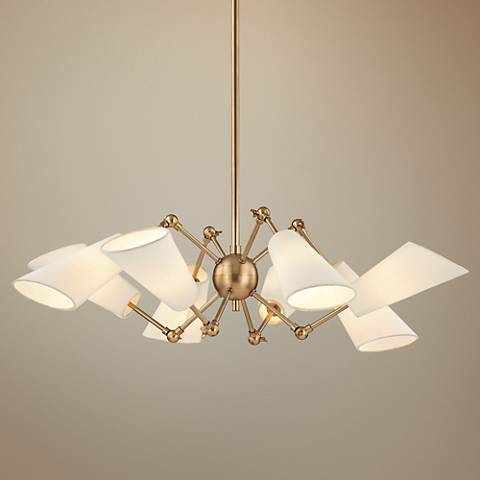 It was SO HARD to chose a chandelier for this room because the selection at Lamps Plus is expansive and seemingly endless. I’m talking hours…ok…more like days worth of deliberating on this decision. 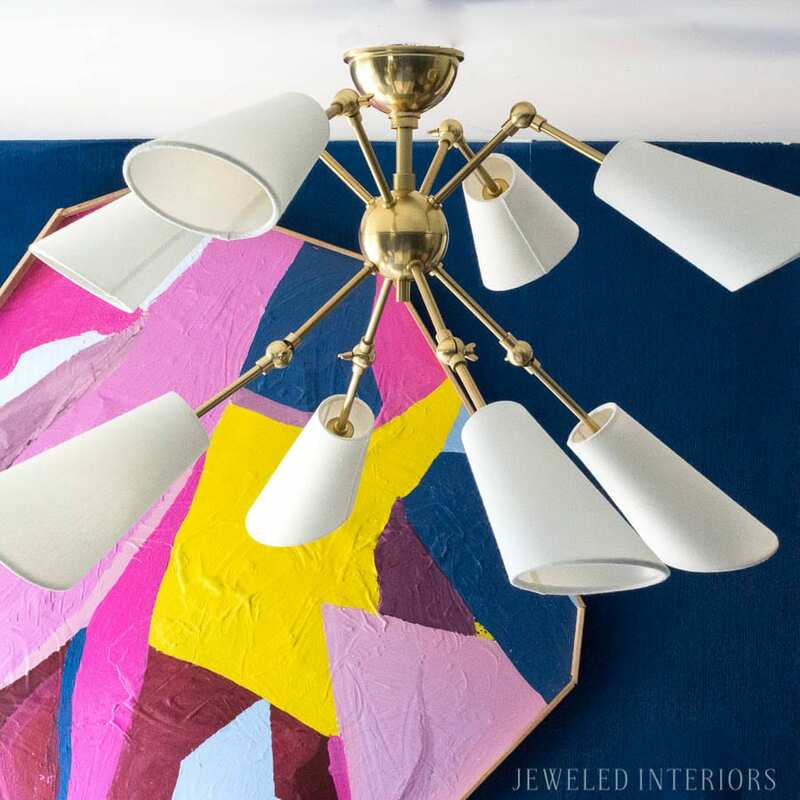 In the end this spectacular Hudson Valley Buckingham Chandelier made the cut. 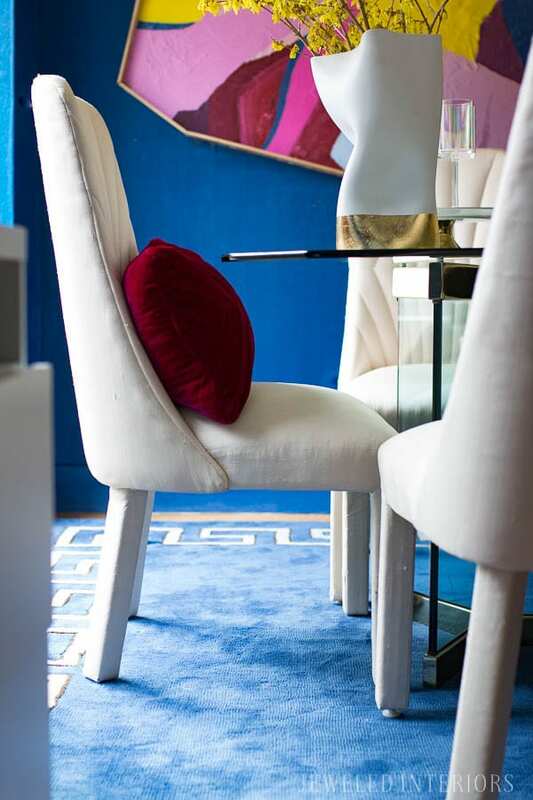 I was attracted to it’s early Art Deco feel and the fact that the brass/ivory combo would stand out in my blue room. I liked it online, but I LOVED it in real life💕. Added bonus…I believe it is on sale this week too. NICE!!!! I was thrilled to realize that the arms are adjustable. I can mix it up for every dinner party I throw 🎉 💃 😜. Who Made Some Killer DIY Art? Ok…So it may have taken me the better part of two days and at one point I almost started crying (imagine me dropping and breaking it while trying to hang the beast by myself…not a fun moment), but I had all of the supplies in my garage and I think its quite the unique piece. My family fails to see the beauty in this masterpiece, but I’m feelin’ the love. What do you think? Lay it on me folks and leave those comments at the bottom👇. I’m not giving a full tutorial, but I used backer board, plaster of Paris (for texture), left over latex paint, trim, and long upholstery staples. After painting the art I spend hours trying to cut the trim to the crazy angles (#notamathmajor). I then set it all upside down and stapled the trim on from the back before nailing it directly to the wall through the corners of the art. If that made any sense then I applaud you👏. Otherwise, please feel free to contact me for more deets. Not bad, eh? I especially like how much money I spent…zero dinero. 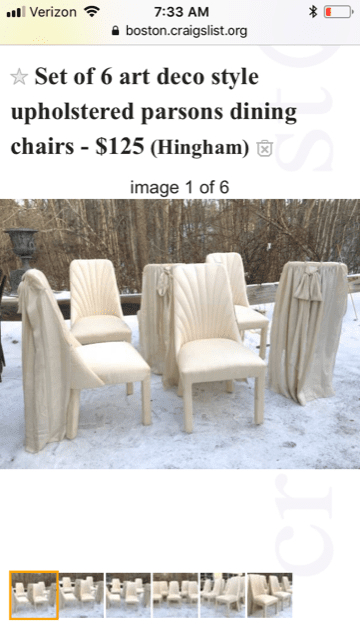 Who Craigslisted Some “Sick” Chairs? I got this set of six silk chairs off of Craigslist and I am kind of in love with the shell back and upholstered legs. I bought these 80’s beauties from a 1st Dibs dealer in Boston who decided that they didn’t make the cut. Fine by me, and I gladly took them off of his hands for $20 a chair. While obviously Karl Springer inspired, they were apparently custom built for a woman in Boston. Check out the ad…Can you believe that they each use to have capes…I’m not making this up 😱😳👇. Up until today I have been trying to think of the perfect color to dye these chairs, but I have to admit that I am starting to like them ivory. What do you think? The fabric is in and I’m in the throes of upholstering this unique piece. I can’t wait to show you this statement making terrazzo velvet from Spoonflower.com (Ashley IG @2birdstonedesign). 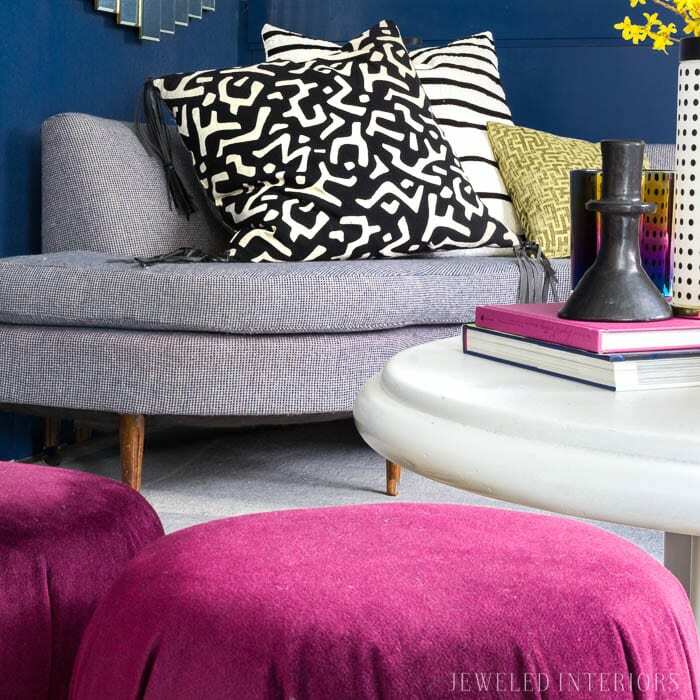 I LOVE me a sofa with fringe! What can I say, it adds sophistication and drama to a space. In this case it’s also going to add functionality. You see, the sofa is too short for the rest of the pieces in the room. I’m going to cut some wood to form a sturdy addition to the bottom of each leg and then use the fringe to cover up my handy work 🔨 . So call me Miles Redd (I mean that would be a very high compliment indeed!) 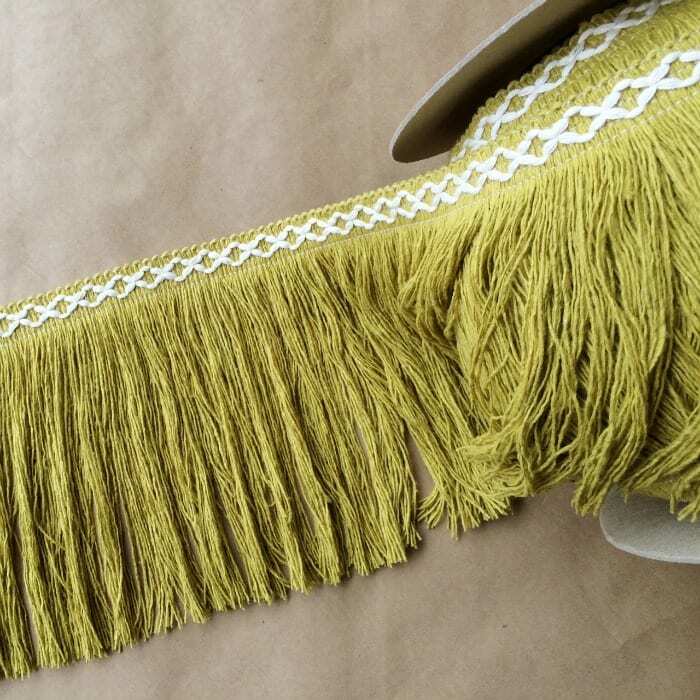 but I’m going to add this gorgeous fringe from Fringe Market to complete my dream sofa. 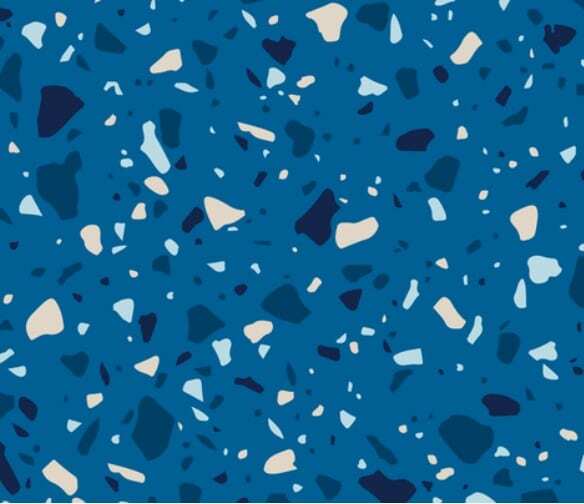 I have sent in a sample of the terrazzo velvet and they have offered to custom match the color for me. You guys, this company is amazing. 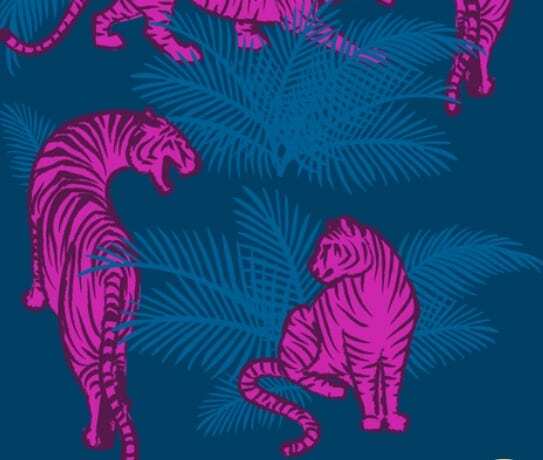 Jungle Tigers Bright Wallpaper – It’s in and installed but I’m not giving away all of my secrets this week! 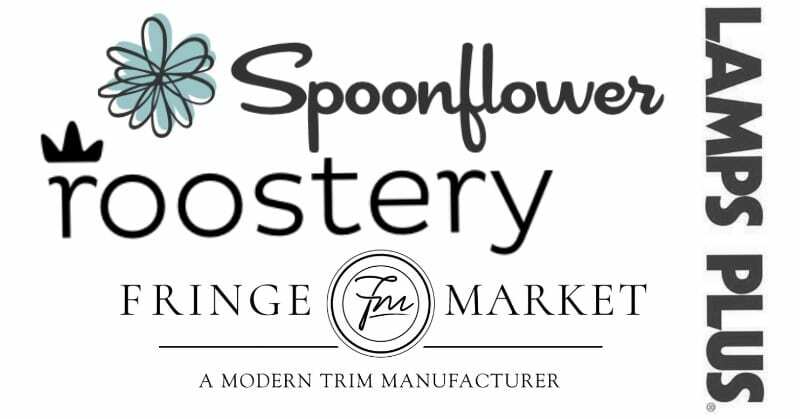 I love this designe by Ashley Peterson (IG: @2birdstone Spoonflower: Twobirdstone) If you want to shop the rest of this Spoonflower collection click HERE. 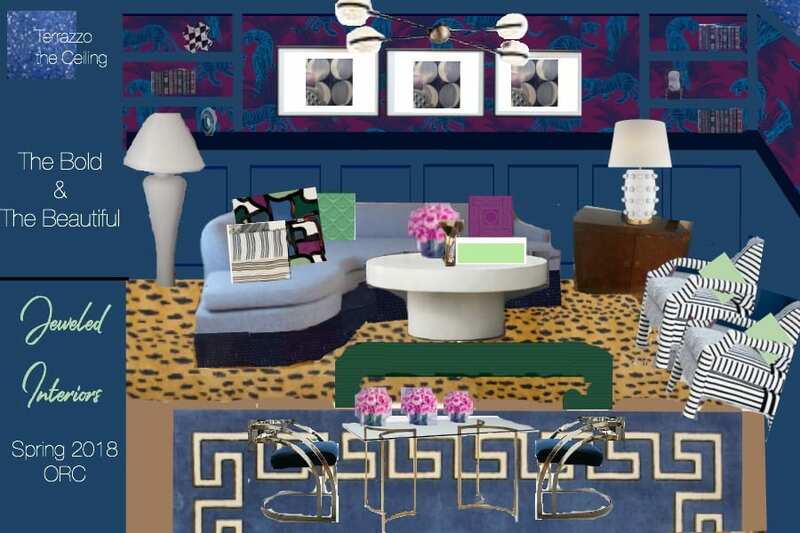 Hmmmm….It’s funny how you can start out with a mood board but end up with something quite differet. 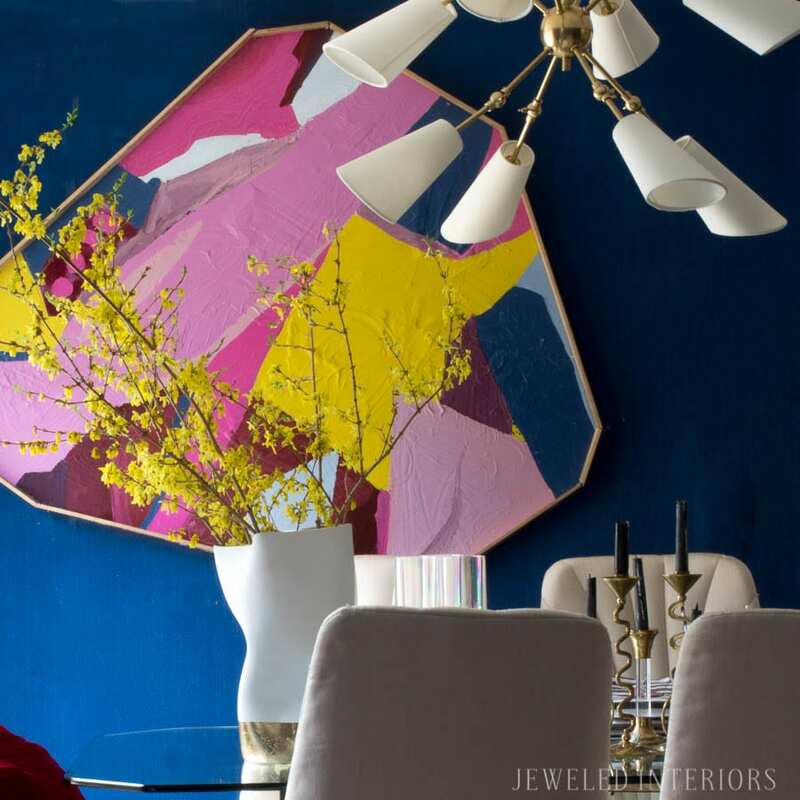 The wallpaper colorways, the rug, the bench, the sofa color, the chair colors, and the chandelier …so pretty much everything… has changed, but the vibe is quite similar. The Bold and the Beautiful! Such drama and suspense 😜. Thank you so very much for joining me on the Spring 2018 One Room Challenge- Week 4 If you like what you see here don’t forget to come back and poke around a bit after visiting the Challenge and Guest participants. Oh, and following me is fun too 😜. 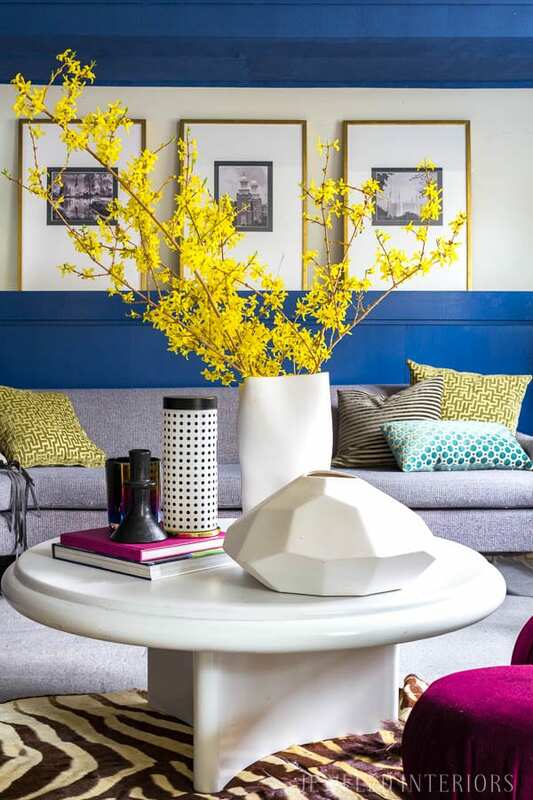 Don’t forget to come back each week as I show you how to use a limited budget to transform a rental into an unforgettable space. Wow! It already looks fantastic and those chairs are perfect just they way they are now. What a story! 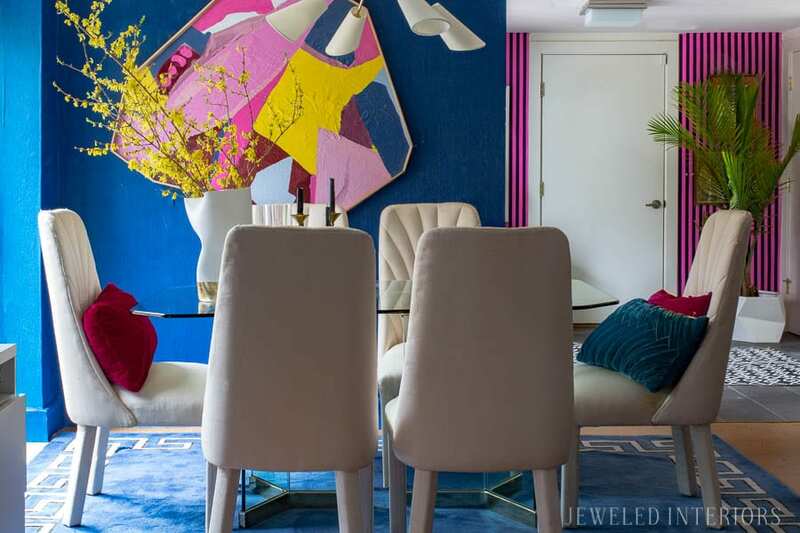 I really love how the ivory pops off the bright blue walls. 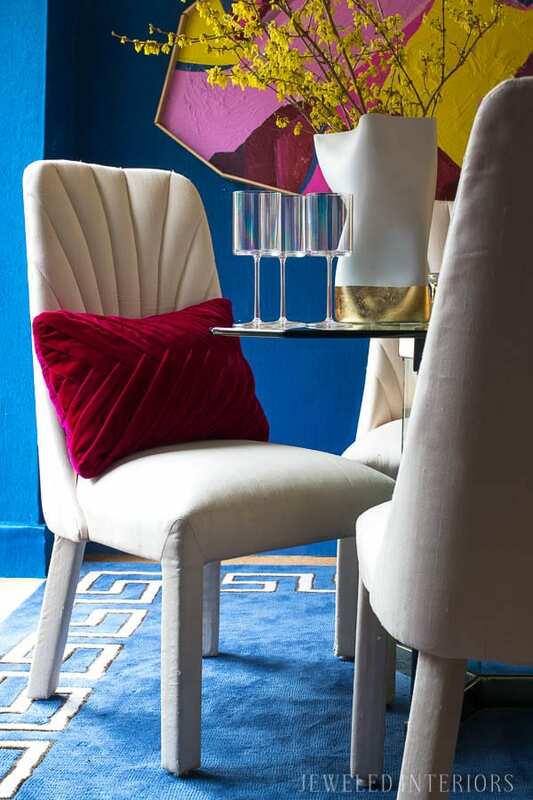 Nice and colorful…kinda remind me of my dining room color scheme https://www.instagram.com/p/BaWcsMFF4Ha/?taken-by=delig1122, although not so glam :). 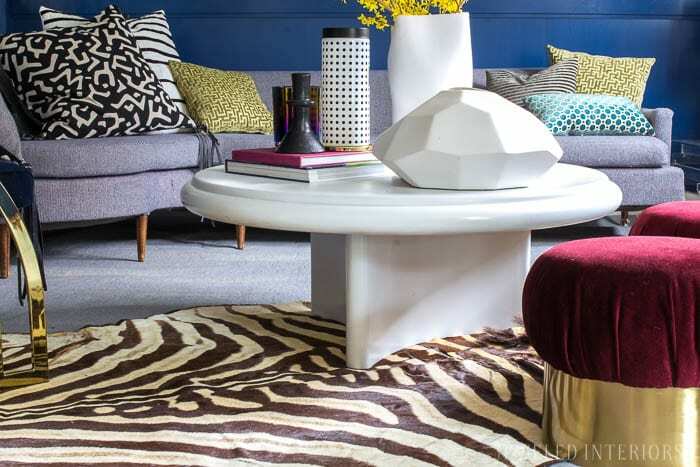 I feel happy to see colors in design as most decor these days are literally stark or bland. Thanks Delia. I’ll have to go check it out! Thanks Leslie! The 1st Dibs dealer was really nice and gave me a tour of his inventory. Thanks Susie- You are too sweet! I’m excited to go read your post too. Thanks Mila! I got a new lens and it makes ALL the difference in the world. This is a feast for the eyes! 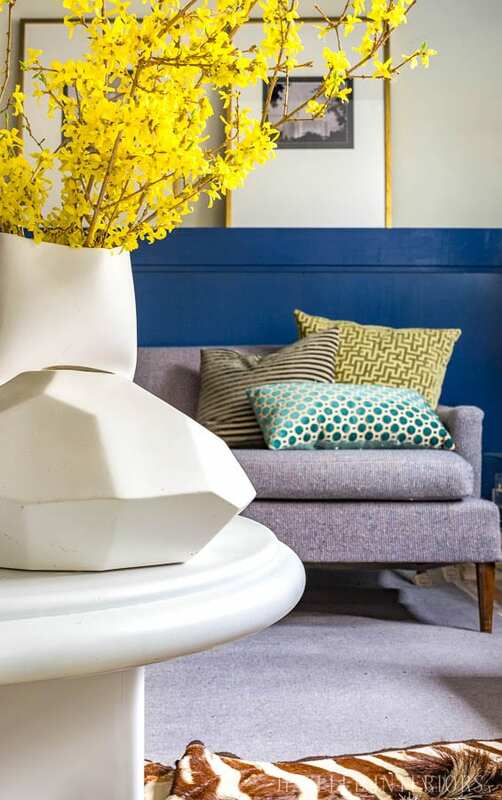 The lighting, the colours, the fabrics…I love everything!!!! I think the art is awesome, and I thought so before I read the article. I get you, girl. Thanks Lidia! It’s certainly bold! Thanks Dee! ;). I enjoyed poking around your site as well! Wow, this room in electric! You have such vision. I’m rooting for you! My DIY days (except for small painting projects here and there) died with the cry of my firstborn, so I’m totally in awe. WOW!!! your space looks so finished, I am truly jealous. I love the bold colors too! Love the ivory chairs. Without a floor plan I am guessing you can see the living room from the dining room-and they totally work in a stand alone dining room or if visible from the living room. Exactly! From the entryway you see the dining area and then the living area in the distance. LOL! I have a lONG way to go, but this little section is coming along. Thanks! I’m truly loving the colors too. I LOVE fringe on a sofa! Can’t wait to see! Thanks Kate! I love your plan too! Jewel that light is everything!! And the art you created!! Such a fun, invigorating, happy space! Hey thanks so much Lisa! Your art is seriously impressive!! I love how your room is looking so far! So much color! I cannot believe you hung that chandelier!! You the woman!!!!!! It looks amazing too by the way!!! Love your style! Thank you so much Jamala! I upholstering the sofa now!!! Thanks Marci! I do love that chandelier! 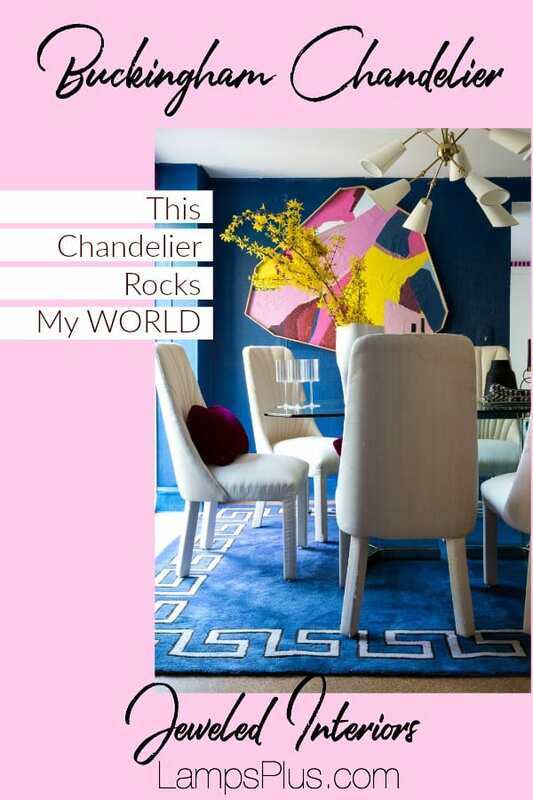 That chandy is to die for and I love your artwork! The space is so fun and out of the box, just gorgeous. I can’t wait to see the final reveal! 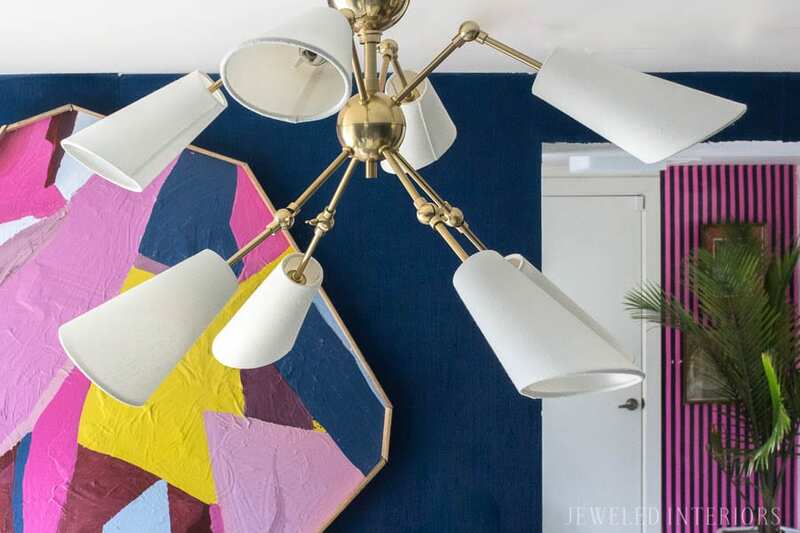 I am seriously crushing on that light fixture!!! And I love your art, especially that it cost $0!! 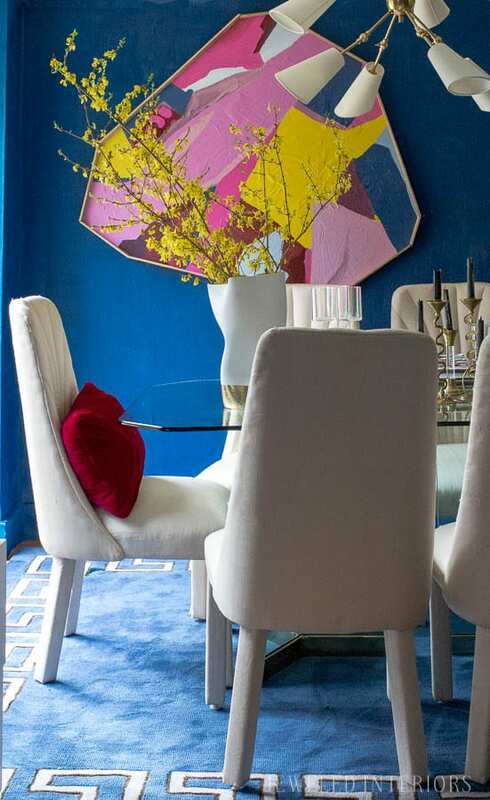 I am a color lover and your space is turning out FAB!!! I love, love, love the colors you are using! You did a great job with your art! And I do like the chairs in ivory. Looking forward to seeing all of it together! I am so freakin happy you chose that chandelier! And your luck with the chairs is huge! Love them just the way they are. This is honestly one of the best one Room challenge spaces I’ve seen and it’s not even reveal time yet!! That means so much coming from you Miss Diane! It’s looking SO GOOD! I’m loving how bold it all is. Thanks Monica! Your bedroom looks lovely too! 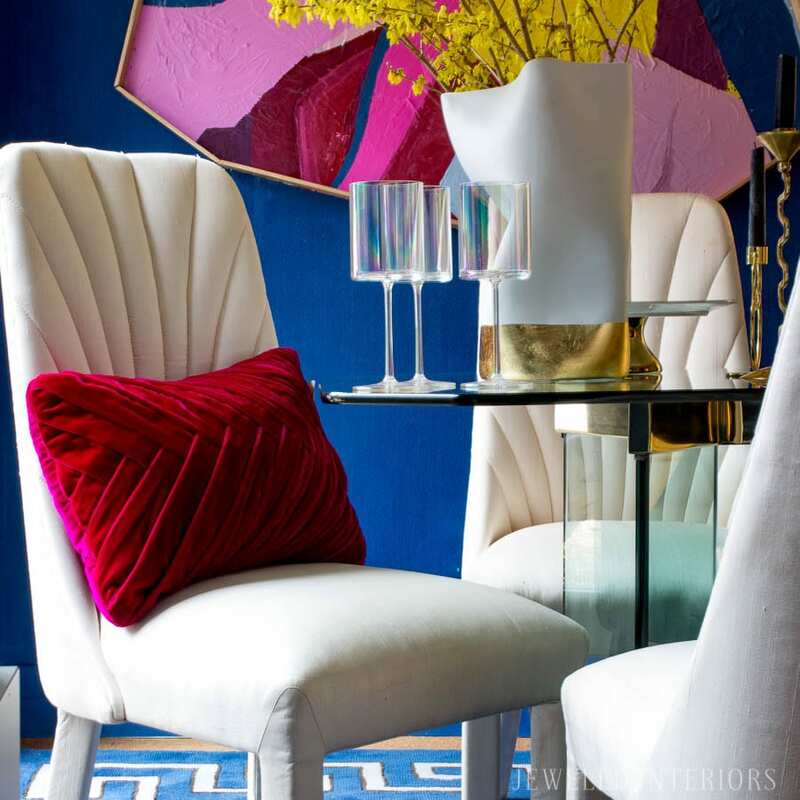 Your use of bold colors caught my eye from another blog. Then I kinds f thought is she a military wife? There were hints. As I scrolled through posts, this one says you are a military family. I am a military wife (he retired then we moved to Asia for 14 years and now are back in the states) who moved the family here there and yon and stopped counting after 26, two coasts and moves to Germany and Hong Kong. What a wonderful life! I’m impressed with how you settle in and make your home beautiful! I could never understand why some didn’t and just dare I say, complained. Thanks for sharing your creativity.